A village of 150 people. Settled in 1820, in the north-western part of McNairy County, 18 miles from Purdy, the county seat. There are three stores, hotel, steam grist mill, various artisans, shops, a Methodist church and mixed school. Cotton, wheat, corn and dry hides are exported. Mail, semiweekly. J. B. McKinnon, postmaster. Business directory: A. H. Bevel, carpenter, G. W. Bulliner, general store; Miss. 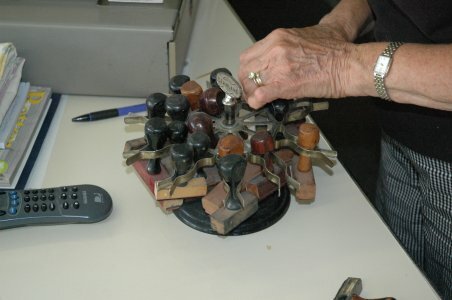 Sallie Bias, dressmaker; J. M. Cunningham, teacher; A. H. McKinnon, jeweler; J. B. McKinnon, cabinetmaker; Mrs. Pollie McKinnon, hotel; Muse & Co., druggist; Jesse Overton, carpenter; D. J. Ozment, blacksmith; J. W. Perkins, physician; J. P. Randolph, grist mill; J. L Rodgers & Son, saddlers; W. F. Rowsey, general store; W. B. Skinner, blacksmith; Clayton Skinner & Co., general store; Robert Spindle, saloon; W. T. Weaver, shoemaker. The following document was transcribed from the handwritten version taken from the collection of Mr. Clayton Skinner of Montezuma, Tn. In about 1810 or 1812 Josiah Wamble entered a lot of land upon which Montezuma is now built. 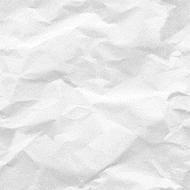 He put up a store and very soon other settlers began to settle around him. For a number of years it was called "Wamble's Store". By 1820 the settlers were so many that a town was laid out and was given the name "Montezuma" after a Mexican Indian chief. The name means "Bright stream at the Foot of the Mountain". Among the settlers were the Wades, Randolphs, Casons, Hollises, Burkheads, and later Skinners, Perkins, Rowseys, O'Neals, Claytons, Barretts, Ozments, Pattersons and others. Then came their first mistake. They refused to let the M & O Railroad come through their town. The old R.R. cut and dump can still be seen in the area where it was started. They switched around Montezuma and Henderson was begun. The people of Montezuma felt a need for a place to worship. Therefore, about 1830, the Methodist Church South was organized. 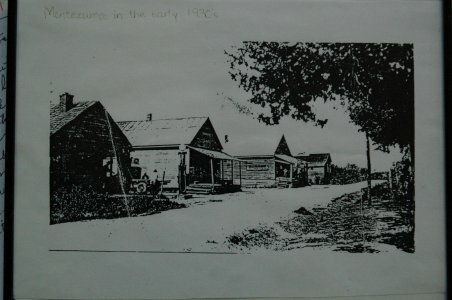 The first building was a log house near the old Montezuma Cemetery. The dedication of its members, and the need for a larger place to worship caused the log house to be supplanted by a frame building. The location of this building is believed to be near the present day Church. Just how long this building served as the place of worship is not recorded. Therefore, we have to assume it was used until about 1875 when it burned. In 1874 or 1875 the Memphis Conference located the Jackson District High School at Montezuma. At this time most schools were operated by churches. The Conference moved the school away about 1885. When the frame Church building burned, it was rebuilt by the hard working members. A good two story brick building was built. The bricks used in the construction were baked in a field near the construction by some of the members. 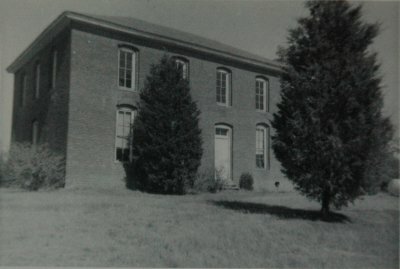 The County helped to finance the building and a County school occupied the two rooms upstairs while the church occupied the downstairs. In those days the Church was the center of action. 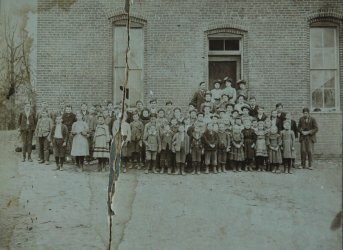 Sunday School was first started in 1866 and has continued to the present time. Singing conventions were held regularly and Children's Day was observed annually. Quarterly Conferences also met here. When Chester County was organized, Montezuma was in the 4th District of McNairy County on the road between Old Purdy and Jackson. 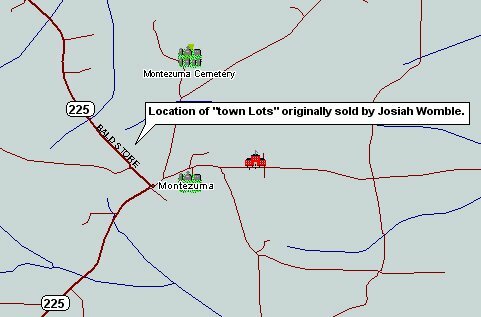 Motezuma was the oldest settlement in Chester County. It was a close second for the County Seat. The Commissioners met first at Montezuma on June 13, 1879 to determine whether to form the new County. The two-thirds majority vote was needed from Madison, Henderson, McNairy and Hardeman Counties to form a new County. On June 3, 1882 the permanent organization of Chester County was completed at the Baptist Church in Henderson. When the vote was taken for the location of the County Seat, Henderson won by a large majority. Historians may think it was a mistake to prevent the R.R. from coming through Montezuma but citizens of this Community think otherwise. It's true that some of the industries that thrived in the past have closed or moved on. 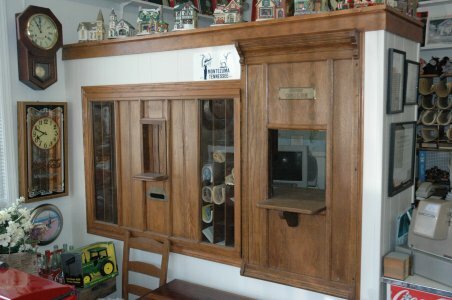 There was once two saloons, four General Merchandise stores, a drug store with two physicians, a barbershop, two blacksmith's shops, a cotton gin, telephone exchange, grade school and U.S. Post Office. Montezuma now has one of the best Food Markets, Repair Shop and garage, two modern Beauty Shops and a modern ceramic shop. In modern days, Montezuma means, "The Garden Spot of the World". Great, great, great grandchildren of Josiah Wamble. 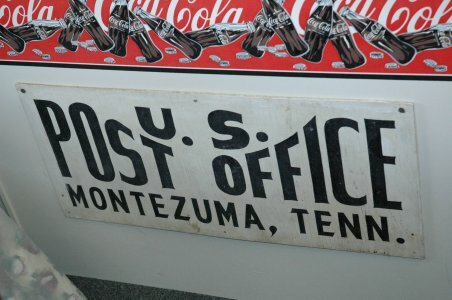 Alexander H. McKinnon and his son, John Bethune McKinnon, both served as Post Masters of the Montezuma, Tennessee Post Office. While on a "genealogy expedition" in September of 2005, I was fortunate to locate Mr. Clayton Skinner of Montezuma whose father was the last Post Master to serve that area. 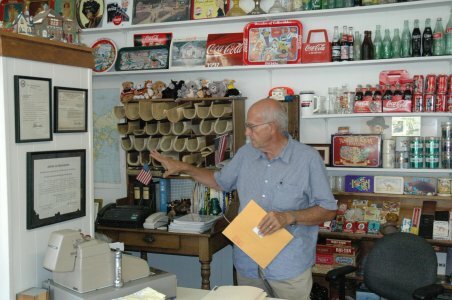 Mr. Skinner continued to run the general store for many years after the Post Office was moved to Henderson. 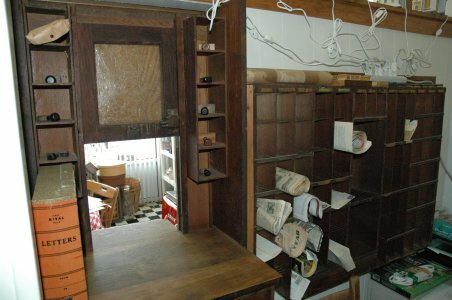 When he sold the store, he removed the old Post Office station and carefully restored it in his home. 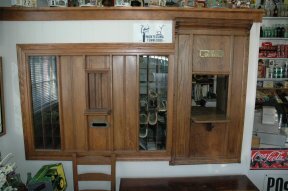 The photos to the right were taken in Mr. Skinner's home and is believed to be the actual Post Master's station used by the McKinnon's. 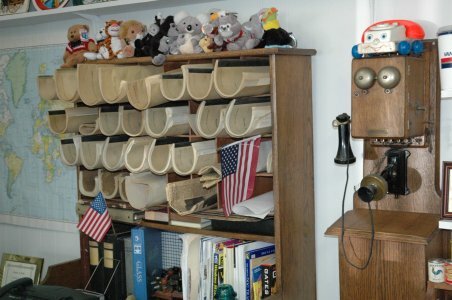 Many thanks to Mr. Skinner for preserving this part of history! Post Master Appointments for Montezuma, McNairy County, Tn. In April of 1882, Chester County was formed and the town of Montezuma became a part of Chester County.